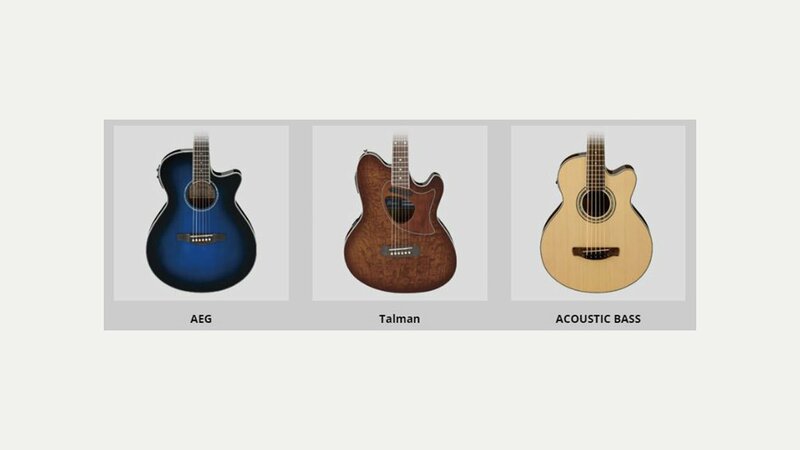 Ibanez makes a huge range of acoustic, electric and bass guitars at all price points from budget to custom signatures. Owned by Hoshino Gakki, and based in Japan, it was one of the first Japanese companies to gain significant sales in the US and Europe. Established in 1908 as the sales division of a bookstore company it imported Spanish guitars. Ibanez started making ‘Ibanez Salvador’ Spanish acoustic guitars in 1936 after the Salvador workshops in Spain were destroyed and imports to Japan ceased. In 1957 the modern Ibanez guitar range started to be formed with copies of European guitar designs being produced as well as some wild-looking in house designs. In the 1960s they started to copy American guitar designs and Ibanez branded copies of Gibson, Fender and Rickenbacker models started to appear. This became known as the lawsuit period after which they produced their own designs, such as the Iceman and Roadstar, which continues to this day. Iconic models introduced in the 1980’s and 1990’s include the JEM and Universe series as well as superstrats such as the RG series. Hoshino Gakki also had semi acoustic, nylon and steel stringed acoustic guitars manufactured under the Ibanez name. Most Ibanez guitars were made for Hoshino Gakki by the FujiGen guitar factory in Japan up until the mid to late 1980s and from then on Ibanez guitars have also been made in other Asian countries such as Korea, China and Indonesia.